Gotta tell you this is great... a partial concept album all about Serial Killers that story spans from his first kill to getting caught and then going to the electric chair is what has been layed out here. Damn, I am in Death Metal heaven here with what these veteran metallists of ten years have handed us ...an album that is so worth shouting about. 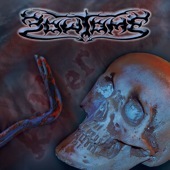 Germany's Bowtome has come up with a vision that is in of itself, is so ingenious and yet has a great deviousness to it... but it is the straight head musical aspects of this Death Metal dynamos that screams out to be heard. Combining some wickedly explosive guitars, furiously attacking drums and adding in that great bass sound that seems to come right out of hell... Bowtome give it to you squarely between the eyes. Advil anyone?. I have heard only a little of what they have done in the past ( The live demo 2000 was the latest I have listened to), but this by far is the best I have heard yet. They do not give you fluff or try to copy other bands, or try to show you that they can play better than other bands... they simply give you what it is that Death Metal is all about. Complete power, dazzling technicality and sadistic sort of storyline that would make Horror Author God Stephen King proud. Bowtome has a classic on their hands, and would make a perfect soundtrack for a slasher type of movie.